Are there really secret manipulations of the economy going on in the shadows of Wall Street and Washington? 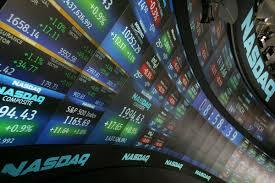 The NY Post’s controversial columnist John Crudele has thrown down the gauntlet, declaring that the market is rigged. And not only does everyone know it, but it is now being admitted. When I started making that claim years ago — and provided solid evidence — people scoffed. Some called it a conspiracy theory, tinfoil hats and that sort of stuff. Most people just ignored me. But that’s not happening anymore. The dirty secret is out. Ed Yardeni, a longtime Wall Street guru who isn’t one of the clowns of the bunch, said flat out last week that the market was being propped up. “These markets are all rigged, and I don’t say that critically. I just say that factually,” he asserted on CNBC. Yardeni’s claim is the most basic one: that the Federal Reserve won’t do anything that will upset Wall Street and, in fact, is doing all it can to help the stock market. So the Federal Reserve is propping up Wall Street, and the economy by extension, not only by issuing free money through QE3, but buying up bonds and shares as well. The Bank of Japan — and other central bankers around the world — could easily be purchasing shares of American companies to help out the US stock market. And Japan could even be doing it with the blessing of Washington, which is afraid any direct intervention in equities on its part would be discovered by nosy people like me. Last fall, we learned that one American exchange has made intervention in — rigging — foreign governments easier and cheaper to accomplish. In October, it emerged that CME Group, the Chicago exchange that trades options and commodities, had an incentive program under which foreign central banks could buy stock market derivatives like the Standard & Poor’s futures contracts at a discount. According to Crudele, Japan is encouraging its private sector engage in the shadow market boosting as well – you know, for the greater good. That’s called rigging the market for a higher purpose, or hoping people who can afford to invest in stocks will make lots of money and spend it. The market is rigged against retail investors, has questioned the tactics involved in using algorithms to buy and sell shares in fractions of a second. Of course, if we listened to comedians instead of experts, we would have known that long ago. You can read more from Mac Slavo at his site SHTFplan.com, where this article first appeared.